Guardiola saw his team beaten three times by Jurgen Klopp’s men during the 2017/18 campaign, although his side did win the fourth meeting in the league at the Etihad. 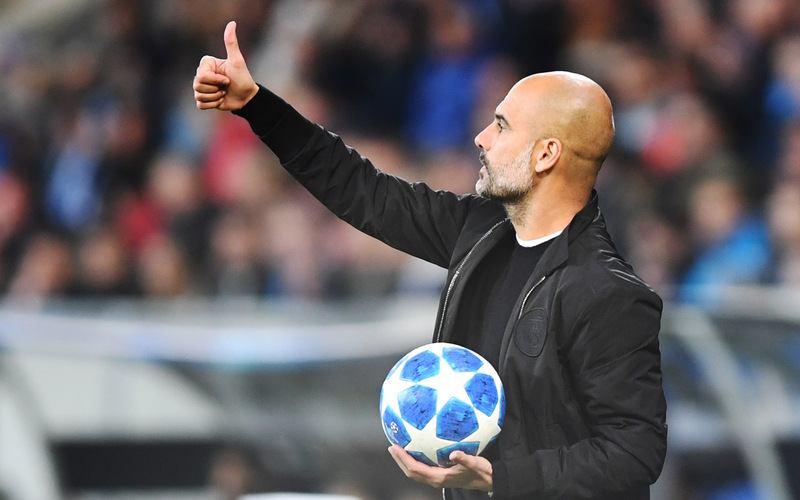 But despite Liverpool’s German boss having such a good record against his Catalan counterpart, Guardiola has insisted he will not adopt a markedly more defensive style when table-toppers City face the Reds, second only on goal difference, at Anfield in the Premier League on Sunday. “We have to defend but not in the approach because it’s boring and we have to be ourselves,” Guardiola told reporters on Friday. De Bruyne was due to be sidelined for three months and, just last week, the City playmaker claimed he was targeting the first Manchester derby — in mid-November — for his comeback. “He made a part of the training session today (Friday), he is training with us. We will see tomorrow,” explained Guardiola. Meanwhile Guardiola has called on Liverpool officials to ensure there are no repeats of the attack on City’s team bus which preceded their 3-0 Champions League quarter-final at Anfield in April. Merseyside Police failed to make an arrest following that incident but Guardiola, who was clearly angered by last season’s flashpoint, hopes Liverpool and their fans will ensure the same problem does not occur this weekend. To add to the potential concerns, City supporters have taken to social media and suggested that they should line the roads to Anfield in a bid to ‘protect’ their stars. The former Barcelona and Bayern Munich boss added: “The best way is that we should not need the police. Why should the police need to be there? For what? “We arrive there, both sides, to play a Premier League game. “Why should our fans have to protect our bus? Are you kidding me? Fans should be going to watch the game. “I would like the police to go home at 4.30pm (1530 GMT) with their families, drinking a beer and loving the show, that is what they should do.